Co-published with the Institute of Communication Agencies Every few years, business is galvanized by a new concept. Accountability is the latest idea in the spotlight. It's a huge topic, and in the broadest sense embraces ethics, corporate governance, and all the issues spawned by the recent spate of business scandals. Vulcans, Earthlings and Marketing ROI deals with a more pragmatic aspect: the accountability behind the question "Are our investments in marketing and advertising sensible and successful, short and long term, from a business point of view?" 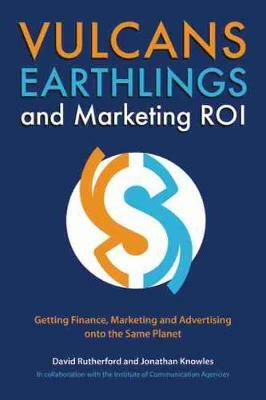 In Part 1 the authors establish that finance, marketing, and advertising share common ground in the value of brands. Part 2 reviews the evidence for the business impact of marketing and advertising, summarizing key research and practical experience. Part 3 outlines what it takes to build an accountability culture and profiles some techniques that are useful for framing and measuring the business impact of marketing and advertising investment. The book is intended for anyone with an interest in accountability as it applies to short- and long-term marketing effort.